Type: A beautiful sandy beach with pines going all the way down to the sea. Location: After you cross the little bridge of the canal, turn left and, a bit westward, the coastal road will lead you to the Small Neorio beach. Access: By your own means of transport, or, if you like walking, it’s a half an hour walk from town. There are also regular buses, as well as taxis and boats from town. 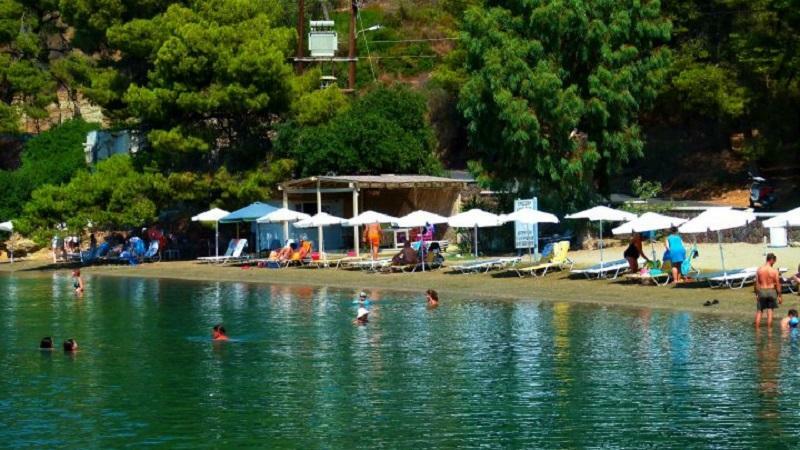 Facilities: It’s an organized beach with umbrellas, chaise lounge chairs and a small canteen.